One of the most protracted and eagerly anticipated launches in recent whisky history has reached its conclusion with the full release of The 1824 Series by the iconic Speyside distillery of The Macallan. 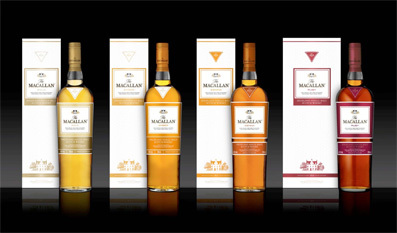 The first bottling in the series - The Macallan Gold - was launched last Autumn and now the three other expressions have joined it. They are named Amber, Sienna and Ruby. 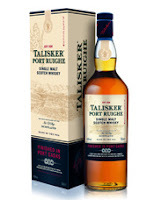 The popular Talisker distillery has released its second new expression of 2013 - Talisker Port Ruighe (pronounced port-ree). This whisky is named after the town and port on the isle of Skye, where the distillery is located. It has been matured in a combination of ex-bourbon and ex-sherry casks, before then being finished in ex-Port wine casks. The Port Ruighe is to become part of the regular core range and is bottled at 45.8% ABV. It is available now from specialist whisky retailers for £55-60 a bottle. 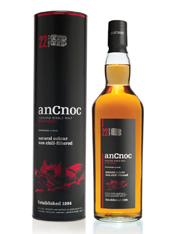 The east Highland distillery of Knockdhu have announced a new single malt release in to their core range - the AnCnoc 22 years old. The new whisky has been predominantly matured in ex-bourbon casks, along with a small percentage of ex-Oloroso sherry casks. It has been bottled at 46% ABV and is non chill-filtered. The initial release will see 5,700 bottles appearing in selected markets including Denmark, Germany, Japan, Russia, Sweden, Taiwan, the UK and the USA. The recommended price is £85 a bottle. This latest single malt from the famous distillery in Speyside is one of the most mysterious new releases of the year to date. It is mysterious because very little is known about it and details will be slowly revealed over the coming weeks, such as age and cask maturation type. 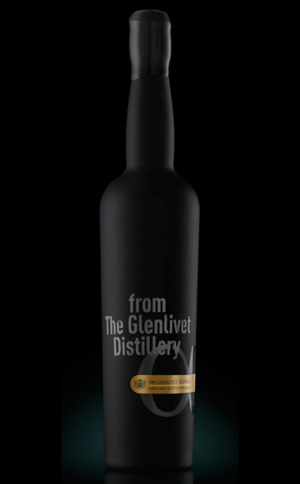 As a result, The Glenlivet Alpha is packaged in a black bottle and carries no tasting notes or other details. Essentially, The Glenlivet are asking consumers to take a 'step into the unknown' and be part of an innovative and unique journey. Islay's newest distillery has announced its latest limited edition single malt release - the Kilchoman Loch Gorm. The new bottling is named after the loch which is located close to the distillery and is known for its dark, peaty waters. At five years of age, it is the oldest single malt from Kilchoman to date - it was distilled in 2007 and bottled earlier this year. 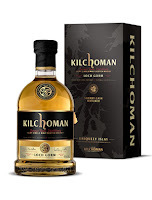 Loch Gorm is also the only Kilchoman single malt to date which has been wholly matured in ex-Oloroso sherry casks (a combination of both hogsheads and butts). The Whisky Lounge, one of the UK's best consumer whisky shows, is swinging in to London town on the weekend of Saturday and Sunday the 18th and 19th of May. Are you going? If not then, you should grab a ticket if you like whisky or are getting in to the subject and live in or around the capital. Last year, three quarters of those attending the London show had never been to a whisky show and 99% said they would go to another one. 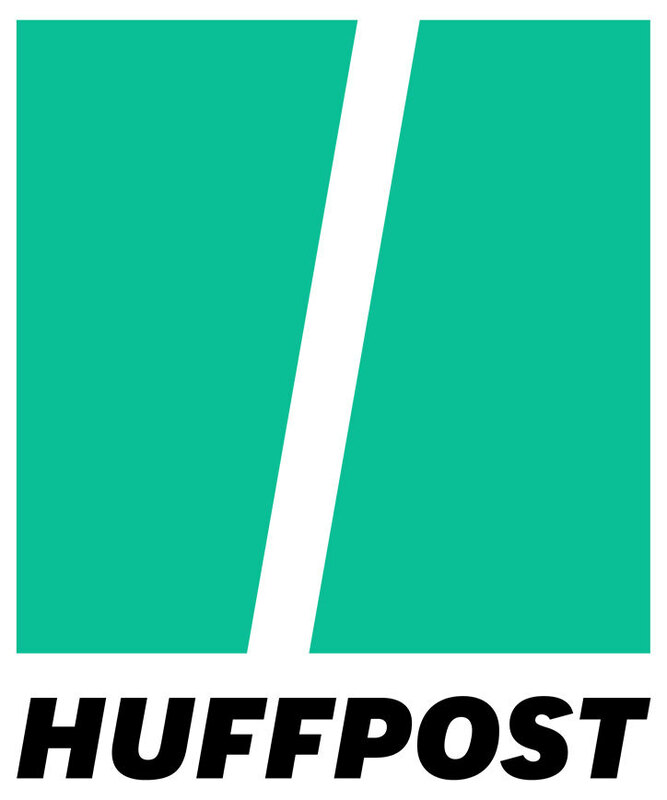 This gave us an idea and we are delighted to now be able to bring this idea to you. 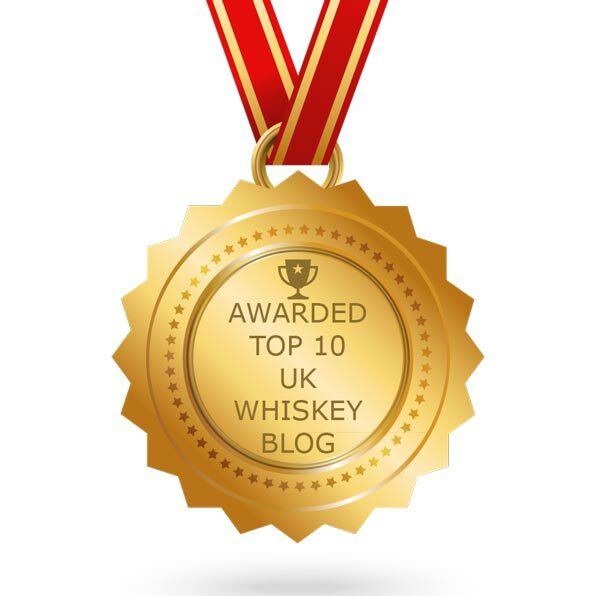 We have teamed up with the guys at The Whisky Lounge to offer guided tours of the festival. 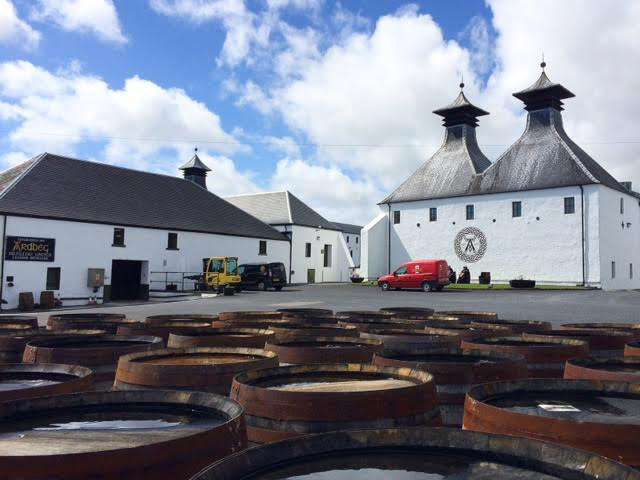 Matt C and Karen, Whisky For Everyone's founders, will be on hand to give tours around the festival at regular intervals throughout both Saturday sessions. These will be FREE and able to be booked at the front desk on the day when you arrive at the show - spaces will be filled on a first come, first served basis. The Highland distillery of Dalmore has launched a new expression exclusively for the travel retail market - Dalmore Valour. This new single malt is initially matured in two types of first fill ex-bourbon casks and 30 year old ex-Matusalem oloroso sherry butts. The spirit is then added to and finished in ex-Port pipes. 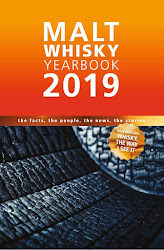 The whisky was launched with a high profile display in the Qatar Airport Duty Free and is now appearing in other travel retail outlets around the globe. 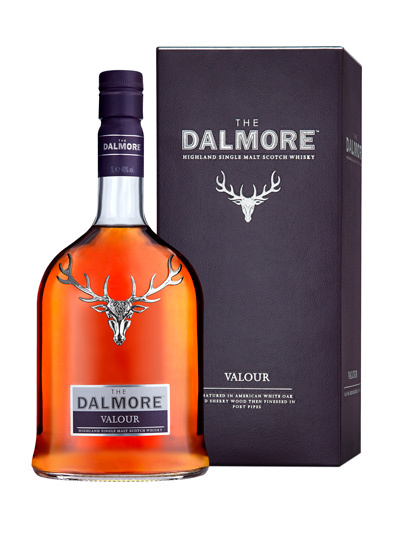 Dalmore Valour is priced at £50 (€55 or $72 USD) a bottle. 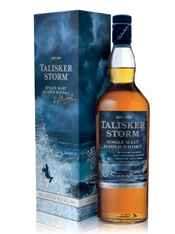 Talisker Storm is a new whisky in the core range of the popular single malt distillery from the isle of Skye. 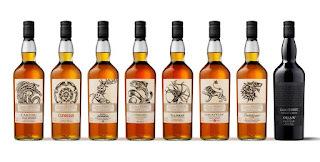 The new expression is designed to be a more intense, smoky version of Talisker with enhanced vibrant maritime notes working in conjunction with hot sweetness. The Storm is designed to sit in the price point between the regular 10 years old and the Distillers Edition in the range, and has been matured in 'rejuvenated casks'. Back in a February edition of Inbox, we featured the Jura distillery's announcement of the latest edition to their premium limited edition Vintage range - the Juar 1977 Vintage. The name Juar is Gaelic for the mythical yew tree, which one covered the isle of Jura and was the source of some local superstitions. The yew tree was believed to carry the powers of regeneration and immortality by islanders. It follows another vintage from the 1970s - the Feith A' Chaorainn 1976 Vintage - which appeared in late 2011 and was also named after a tree (in that case, the rowan).